Resourcing you to live a life of devotion. 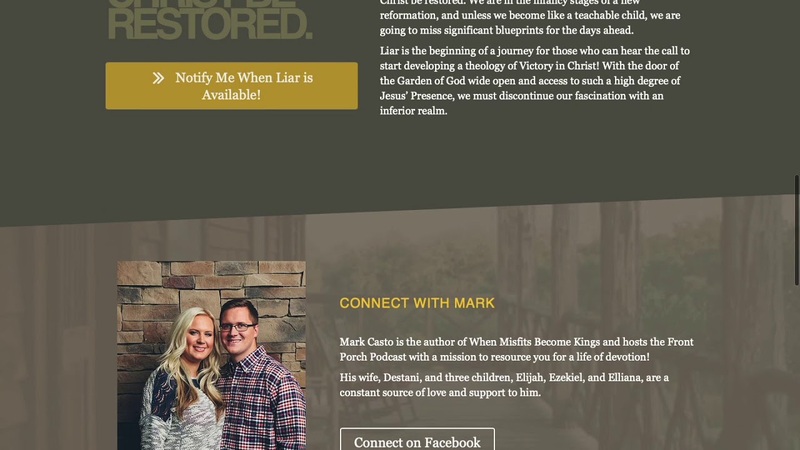 Mark Casto (the voice behind the Front Porch Podcast) has gone through several major rebrands and brand consolidation with us over the past number of years. From Mark Casto Min to Circuit Riders Rising and now consolidating under The Front Porch podcast we needed to align our language and create synergy around the new identity that negated brand confusion, grew the podcast audience and focused on new partners for this listener supported podcast. We created a site with super clear next steps, a thorough Start Here page, and a content library with layouts based on the type of media the post has. Our favorite part? The Start Here layout! The Start Here page is probably my favorite part of the site. 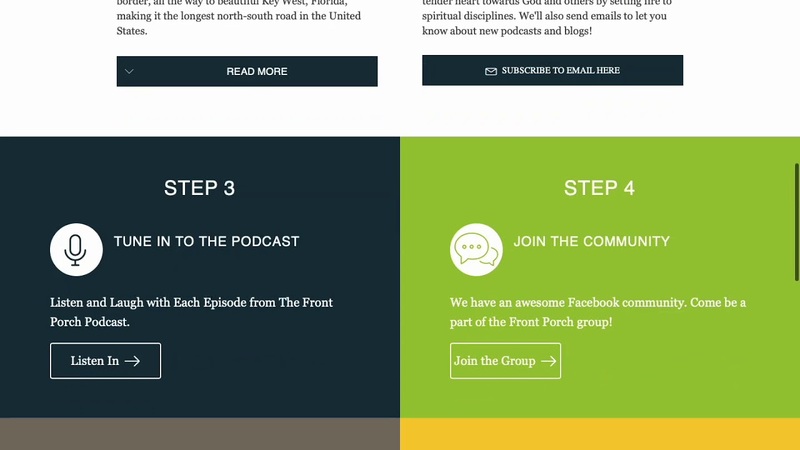 We created an easy to follow 'Start Here' layout that tells the story of the Front Porch Podcast, gives readers actionable items to follow, and drives them to the email list and other content provided by the FPP. Mark and Matt are both authors! Which means that there are multiple landing pages for their products that are used promotionally to capture emails and drive traffic deeper into the website. Get started with a simple form that gives us a few details about what you are looking for. This give us a baseline and ensures we can hit the ground running when we have our first conversation! © 2019 The Reach Company. All Rights Reserved.